I love smoothie, especially in the summer when it’s hot. I mean, who wouldn’t enjoy the buttery, sweet, cool, and fluffy taste in a beautiful green shake with a straw. 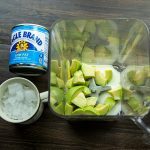 Back then in the old time of Vietnam, when we didn’t have access to a blender yet, I used to just mash the avocado, add in some condensed milk and crushed ice cube and voila. Now with the blender, you could make this smoothie fast, evenly and fluffier while saving your hand too. Avocado is rich and creamy, it’s used mainly as fruit, smoothie, shake in Southeast Asia. In American and Western counter parts, it’s often served with salad, rolls or sauce/dressing. Pick a ripe avocado but not too squishy. For great taste, choose one that still harden a bit (no soft or mushy spot) and a little heavy. Gently hold the avocado in your hand and shake a bit, if you could hear a small sound, that is a good ripe and creamy avocado. 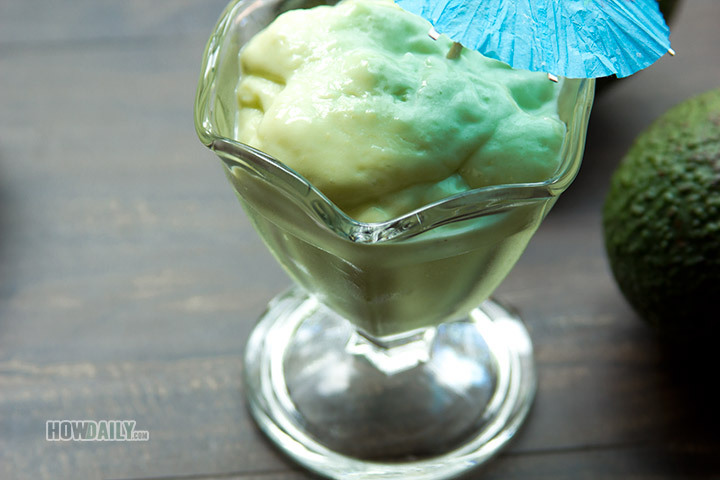 In avocado smoothie, it’s best to use sweeten condensed milk, but if you don’t have that ready, then substitute with sugar is fine, just add more coconut or whole Vitamin D milk and lessen the ice cube. Also, you could add sweet yogurt to smoothie for enhance flavor. Salt is prefer, just a bit sprinkle and it tastes sweeter instead of adding too much sugar. 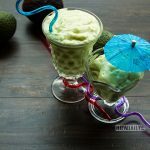 Today, I will introduce a traditional Vietnamese way of the Avocado Smoothie, with some tips and tricks along the way to enhance or twist the flavor too. A super delicious smoothie for your hot summer treat. 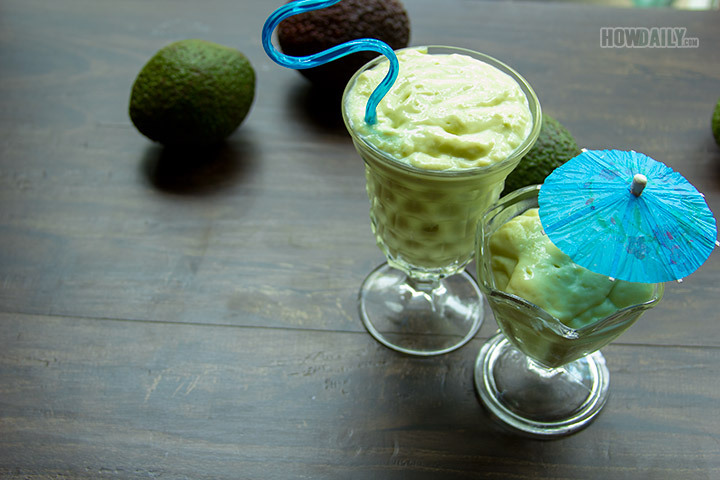 Avocado smoothie/shake will boost your energy while help treating your skin too. Avocado: remove flesh, seed, cut into chunks. Add avocado, condense milk, crushed ice, coconut/whole milk in to your blender. Serve with a spoon or big straw. Don't have condensed milk? Use 2 Tbsp of sugar instead. Like the sour tatse? Add 3 Tbsp of yogurt, and see the differences.